There's something about this premium leather clutch from ASOS that has has going all googely eyed. It sort of has that high designer feel, yet we can't quite pinpoint which designer it takes after more. Is it the Louis Vuitton feel, the Celine simple or the Marni eccentric? While we can't put our finger on it, we've definitely used our finger to push the purchase button as it's nearly half off at ASOS now. It was £60 and it's been marked down to £33.50. Hello, bargain city. 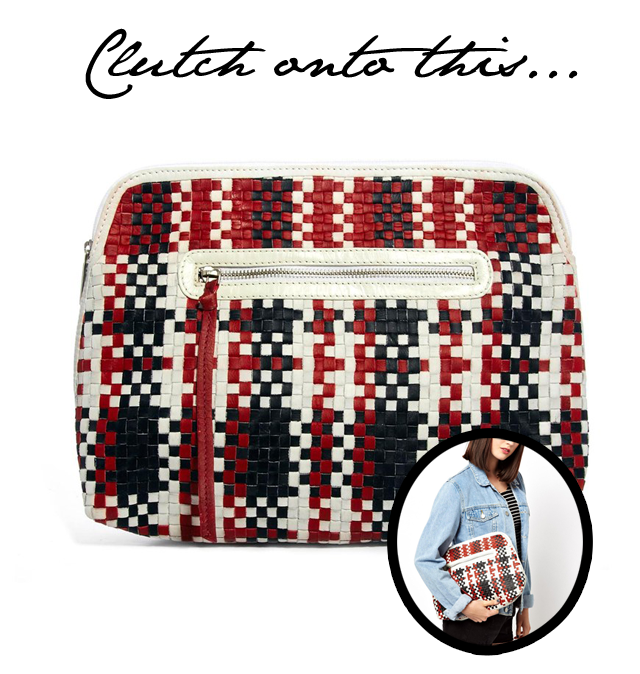 An oversized clutch such as this is not to be overlooked, people!